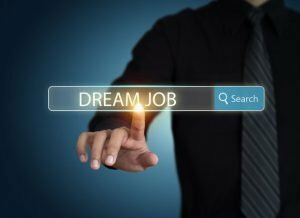 With the New Year quickly approaching, companies are beginning to anticipate their needs and hiring managers are preparing to scan for potential employees that match those needs. Now is the time to reexamine your workplace satisfaction and review the career path you are currently on while recognizing if it is the career path for you. Now, some people have found the right job for them and are happy in their role but what if you haven’t? No need to panic, there is plenty of time and a multitude of opportunities to take advantage of. It is just up to you to make the moves to obtain that happiness. So, how do you know if the job you are in truly makes you happy? Well, think of the signs that are out of the ordinary. Do you hate going into work and count the hours until you can leave? With a majority of the average person’s life consumed by work, it is best to spend that time happy and enjoying the work you do. Have a purpose for your job every day. This purpose doesn’t mean going out and changing the world every single day but rather, finding satisfaction and a sense of accomplishment in the work you do. Without those feelings, you no longer satisfy the basic human need of self-actualization. Think about what you want in your career. Pinpoint aspects that you love and hate about your current role and see what other fields utilize the elements you wish to carry throughout your career. Take the time to tune into your workplace happiness. Ask yourself if you can see any growth happening in the role you are currently in. If you can’t, recognize the signs, acknowledge if you are in a position to begin looking for another job and make the moves to satisfy your ultimately workplace happiness. The most common misconception about wellness programs is the expense. While some corporate wellness initiatives may have a hefty price tag attached, it is quite simple to execute an affordable and efficient program that best fits the needs of the company and all employees. First, understand what type of program is best to initiate. Keep in mind that the “best program” doesn’t have to mean all the rules and guidelines are followed to a “T.” Rather, what kind of structure will bring out the best employee mindset to WANT to take part in the program while being the most beneficial to the overall company environment. Assessing the needs of the organization and understanding employee satisfaction while taking part in fulfilling the program is essential. Once this occurs, you can begin mapping out the parameters of the wellness initiative. Sit down and discuss the budget and specifically the end goal – how can you best help your employees which, will in turn, best help you. After a couple of months of implementation, evaluate the program focusing on your employees and the overall workplace environment. Understand what is not working and how those areas can be improved and concentrate on the areas that prove to be most beneficial. Soon, real changes will begin to be made and overall satisfaction and office morale will begin to shift in a positive direction. Check back for the next edition as we look into Job Satisfaction. Picture this. You are sitting at work exhausted, unhappy in your role and feeling like there is no way out; to make matters worse, you are feeling a tad under the weather. We’ve all been there, right? Well, how can this be changed? How can a basic human need of self-actualization and health be fulfilled within the everyday workplace? 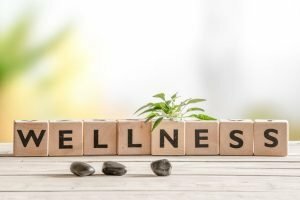 For employers and employees alike, wellness is a priority, whether that be physically, mentally, or financially. And while this area of life may be a priority, it is all too often lost between the constant juggle of work and home life. There are approximately 260 workdays in a year, which translates into just over 71 percent of the year spent at work. Considering a full-time employee, it is safe to say that the workplace is where they spend most of their time. Therefore, employers must 1) take advantage of the amount of time committed by employees and 2) be willing to shift focus to a more health-centric atmosphere rather than an entirely work-centric atmosphere to accommodate organization commitment. So, how can you, the employer, safeguard the two concepts stated above? By executing a wellness program within the workplace, employees will prove to be happier, more satisfied and more productive during the workweek while healthcare costs for the company will be significantly reduced. Nearly all (92 percent) of the companies with a wellness program in place agreed that these programs are effective, and 47 percent reported the programs are very or extremely effective. In addition, 44 percent of employers agree they are able to offer lower health insurance premiums as a result of their wellness program, and six in 10 (61 percent) agree they have a healthier workforce as a result of having a wellness program in place. One of the most iconic companies that currently implements a wellness program throughout their business model is Google. 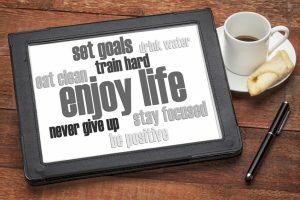 Featured by totalhrmanagement.com in the article, 12 Companies With Seriously Impressive Corporate Wellness Programs, Google employs on-campus healthcare experts, insurance and emergency services and new parent and continuing student benefits to some campuses across the nation. Google ensures that while their employees are committing a vast majority of their time to the workplace, they aren’t sacrificing everything to accommodate workplace needs. Understanding that the atmosphere of Google may be a bit extreme for some companies, the key element is the application Google adopts rendering employee satisfaction and organizational success. Workplace wellness programs can come in many different forms. Whether it be a simple, unstructured plan or creating a more structured and health-centric workplace such as facility, each result will confirm the positive impact a wellness program has. Later this week we will be exploring various wellness programs that may be most beneficial for your workplace atmosphere.